A basic adult sock pattern to fit a foot 20cm – 24cm (8″ – 9.5″) around at the ball. Knit from the toe upward this sock features a round toe, gusset and heel flap and a ribbed top. 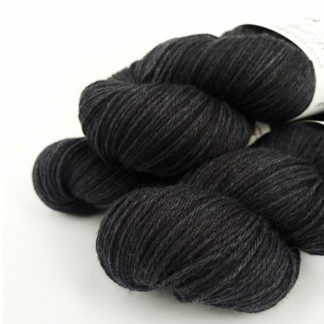 One skein of VP Sock is sufficient to make a pair of adult sized socks for most feet. Very large-footed individuals may require more. The shown sock fits a size 9 (Eur 40) foot and used substantially less than 100g of yarn. This toe requires no special cast on, just cast on normally, join in the round and go. The heel is smooth and well fitting, there are no stitches to pick up. 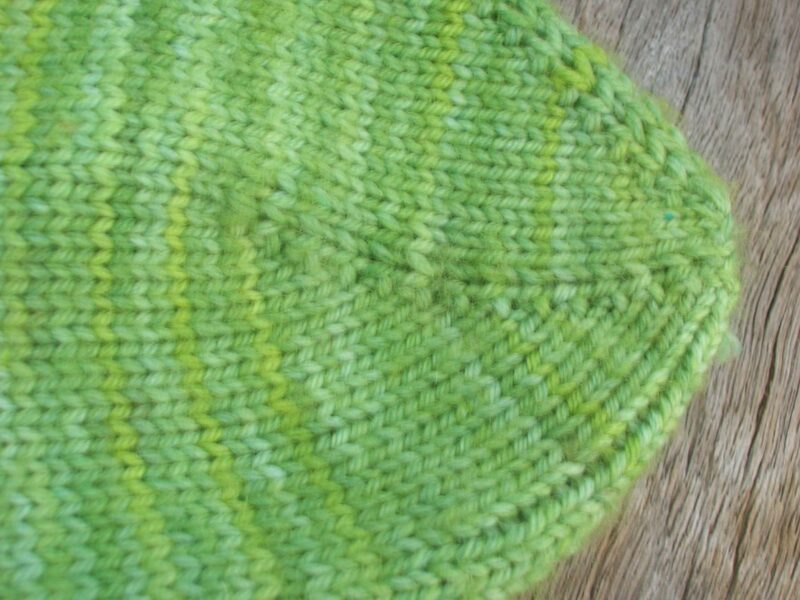 Knit with with whatever needles you prefer – double-point needles, two circulars or magic loop. This pattern is written to accommodate any needle setup. A great pattern for a first exploration of toe-up socks or a great basic method to add to your collection that you’ll knit again and again. 2.50mm needles (or size required to get gauge). 36 stitches and 48 rows on 10cm (4″) over stocking stitch. This pattern can be also be purchased in electronic form on Ravelry. 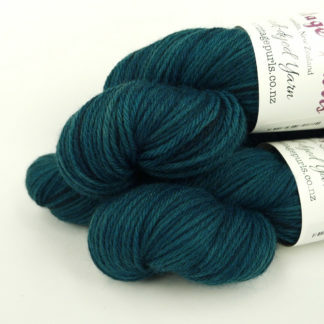 If you wish to keep the pattern in your Ravelry Library, then you should purchase it via Ravelry.